Anyone who’s worked with WordPress for a while can tell you you’ll need to move content around at one point. This is particularly true when migrating content from larger websites. Broken links are something we want to avoid at any cost because they defeat SEO purposes and lead to negative user experiences. A redirect will safely guide a reader to the WordPress content they’re looking for. It’s a failsafe solution for coping with outdated content references from other sites. Read on to find out which the best four WordPress plugins for URL redirects are. They all have free versions except for Yoast. Quick Page is one of the most popular plugins with hundreds of thousands of happy users. It offers a vast array of redirect options divided into Individual Redirects and Quick Redirects. With Quick Page, redirects are simple and easy to add. To use Quick Redirects, for instance, all you need to do is enter the request and the destination URL and the plugin will take care of everything else. This approach can fix updated URLs, issues with moved content, and incorrectly created permalinks. 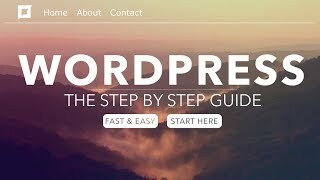 This function- and feature-rich WordPress plugin makes managing 301 redirections and 404 error tracking a breeze. It also offers advanced features to help WP users manage broken links and orphan pages. With the 404 error monitoring feature, you can identify potential 301 redirects easily. The tool can be used for all kinds of addresses, missing pages, and broken links. 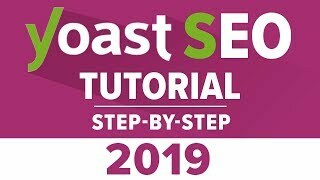 Previously known as the Permalink Redirect WP Plugin, which was freely accessible, the tool renamed Yoast SEO Premium features a host of functions, of which the redirect manager is at focus here. This tool does not require additional coding – it handles redirect functions directly through the admin panel. You’ll find it indispensable if you want to sustain or improve your blog’s SEO ranking, which is ensured by the basic redirection feature, enabling quick redirection from old to new addresses. Yoast SEO Premium’s Google Webmaster Tools integration can be a lifesaver for a site owner who doesn’t have enough time on his hands. The tool is ideal for bigger businesses and larger websites. This plugin comes with a whitelist feature for additional security. Distinguished by its straightforward approach to redirecting folders or web pages, this tool will not redirect one to a URL that has not been updated in the list of whitelisted hosts.